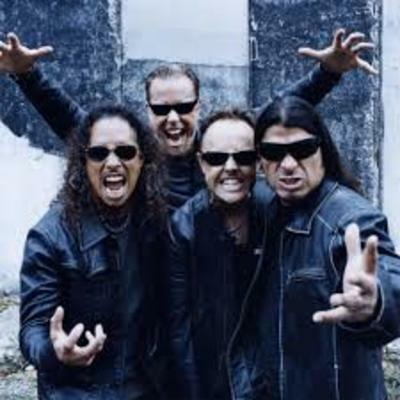 Metallica are currently undertaking a week-long The Late Late Show residency. On Tuesday they delivered a blistering version of "Fuel," their Grammy-nominated single from 1997's ReLoad. Host Craig Ferguson jokingly introduced the band as "a bunch of kids trying their luck in show business." Metallica will perform a song every night this week on The Late Late Show. On Monday, the band delivered an extra-heavy take on "Hit the Lights," the first song they ever recorded. Do you have a favourite Christmas single?